I love life, adventure and being active. I love to see the beautiful places this world has for us. Which is why Tuesday's are Travel Tuesdays on my blog. Each week I showcase a different fun adventure to take, incredible place to see or do. You can view all my previous travel posts HERE. This year I am doing a series to showcase Marathons in America worth traveling for. Today is the 3rd race in the series. 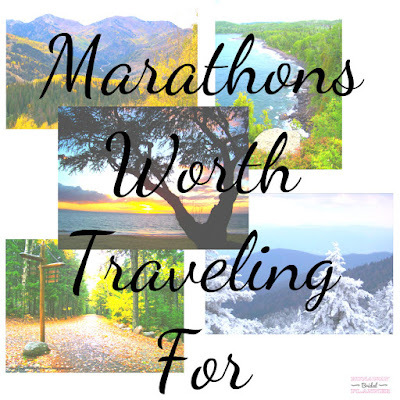 If you'd like to check out the previous marathons worth traveling for, you can visit this page HERE. While there are many different distances, for this series I am focusing specifically on the Marathon, 26.2. Because for myself that is the only distance I travel around to run and it's easier to write on what you know! 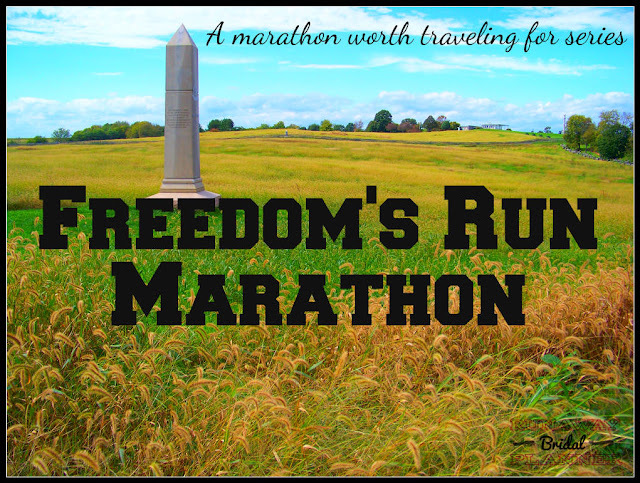 This week I'd like to take you on a marathon adventure that is not only scenic and stunning, but also historically amazing. I really enjoyed this marathon, I can't say enough good things about it. It was the perfect combination of tough and enjoyable. Definitely a marathon for a runner who trains well and enjoys a great diverse and beautiful course. It's a point to point course. 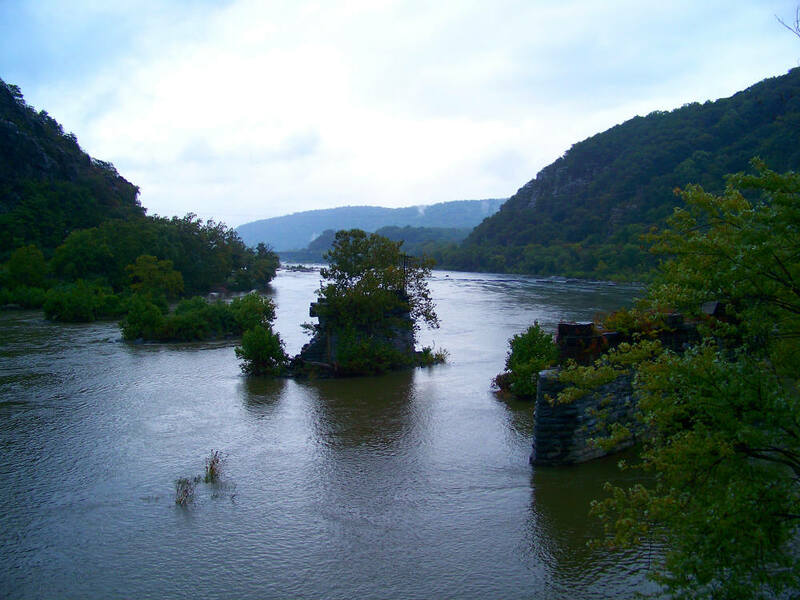 You'll start and end in West Virginia cross over into for part of it Maryland. It's also very well organized. I actually felt this race was put on by organizers who know exactly what runners want. You'll feel like this marathon is their main event. While they also do have a half marathon, 10K and 5K for those who prefer shorter distances. If you know me and my blog, you know I love races that host marathons and make the runners feel like the 26.2 is their main event. Small town race and hospitality feel. They only allow up to 1,000 runners to run the full marathon. So you get to enjoy less crowds and a more peaceful times while you are out on the trails and country roads. One of the best parts, your either running in National Parks, trails or country roads so for most the race you are away from traffic and crowds. This race is full on American History, you can learn something new just about everywhere you go. You can visit more American history in the 26.2 miles of this marathon than most people do in a lifetime. 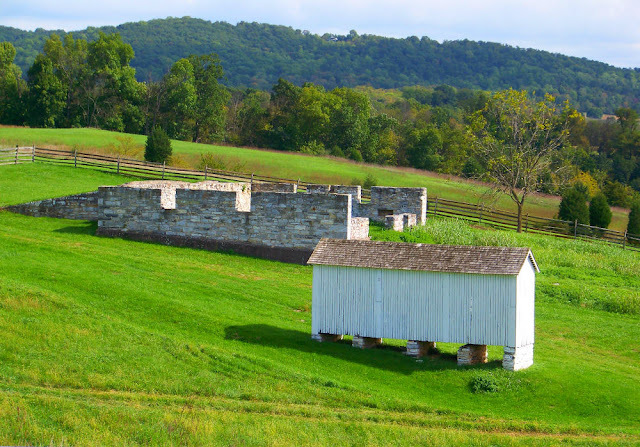 I highly recommend you learn a little about the area so when you go you can enjoy the different parts of history you pass through as well as take some time and visit and tour the National Parks either before or after the race. It's well worth the time to do so! It's run in the fall, the temps are perfect and cooler, the area is just stunning. 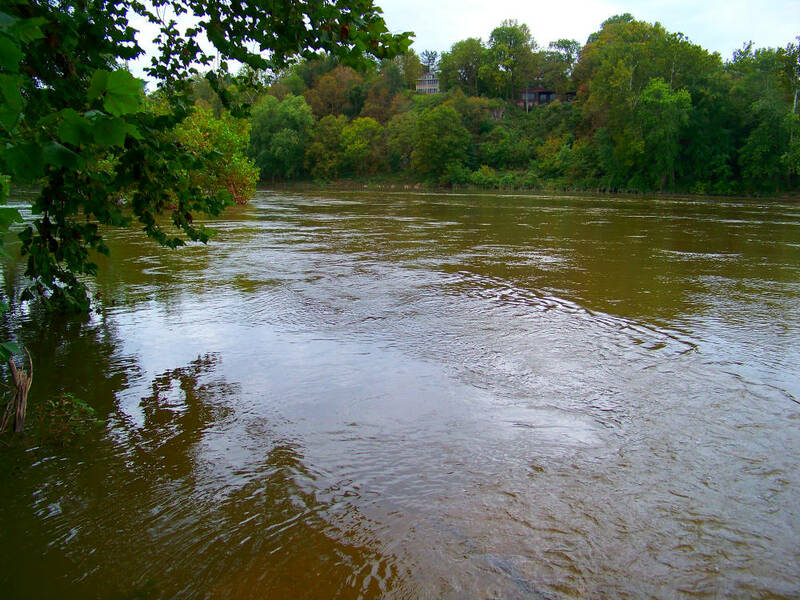 You'll have breathtaking views of the Shenandoah River. 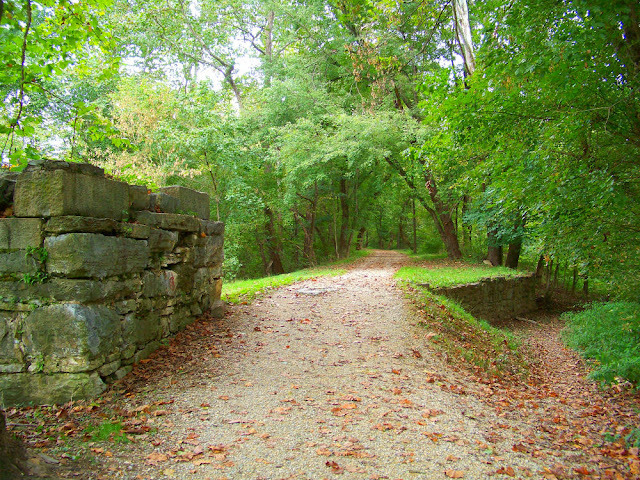 As well as amazing views of the Potomac from the country roads and trails you'll be running along. 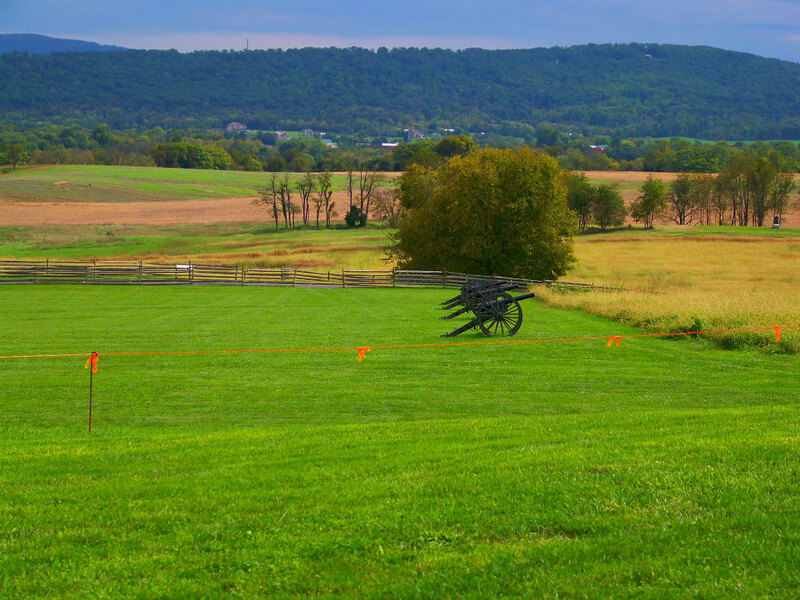 The entire race is run on National Park land - In fact 4 National Parks and 3 Civil War Towns to be exact. A few of which are; Harpers Ferry, C&O Canal, Antietam, Historic Sharpsburg and Shepardstown. On a side note, if your lucky (I was) as I was running through Antietam near Bloody Lane allowing my mind to wander and think about the history. If you listen carefully you might even hear the gunshots. Yes, the Visitors Center up above does a few gunshot shows and you may get a chance to hear the shots ring out as you are passing along this historic section. Definitely a race for hill lovers. In fact most all the major hills are in the second half of the race. You'll love it, because not only are you running through Antietam hills of history, but the scenery is just beautiful. 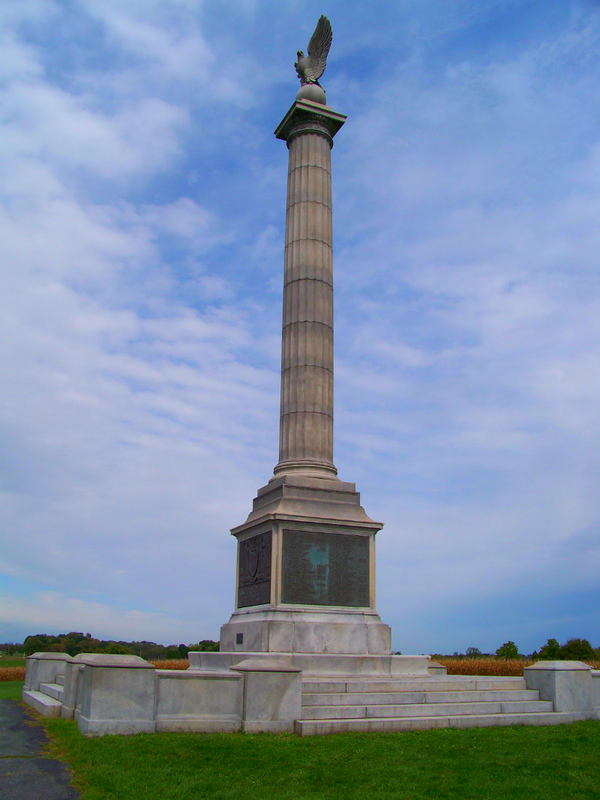 However, if you allow your mind to recollect the historic battles that took place in this part of the country, you'll be able to direct your mind away from the hills remembering that many died. 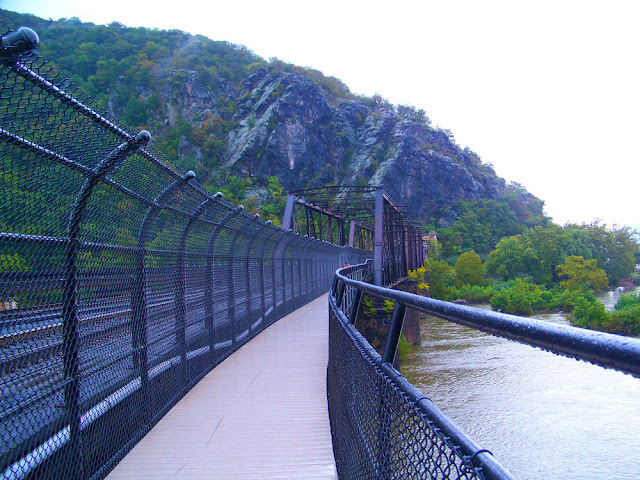 It was the only race I have found yet where you actually get to run down a spiral staircase as you run across next to the B&O railroad and cross the bridge that goes over where the Potomac and Shenandoah rivers merge together. Last, it's about half a trail run and half road race. However, the trails (except when raining) nicely hard packed and very easy to run on. Interested or want to learn more? You can learn more from their website HERE. Note: For my Marathons Worth Traveling For Series. All pictures are my own. None were taken during the actual race itself, they are usually taken in and around the area before or after race day. Also, I was not asked to promote any of these races. The races chosen for this series this year are ones I enjoyed more over other marathons, and found the area's they are held in amazing places to visit. What a beautiful course! I'm really enjoying this series. Those hills look challenging, but add to the beauty. This looks like a beautiful course. How is the support along the route? Your pictures always make me want to run the marathon that you are talking about.....I am not running a marathon but you surely make it very pretty to visualize!! I want to travel for a race one day... but I have the hardest time getting out of my house to get to local ones :) haha ... I'll do it though somewhere - bucket list item! Wow, it looks like a beautiful race! 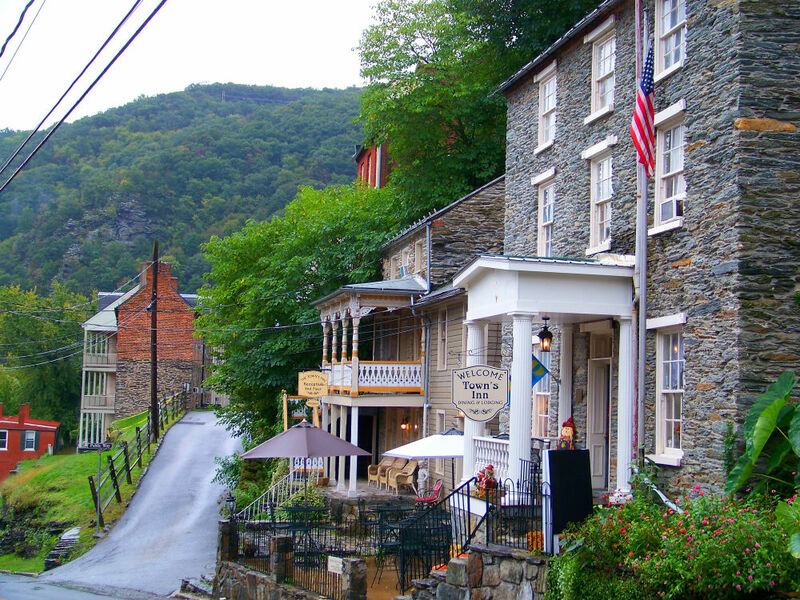 I love that there is all that history in addition to the beautiful scenery. The hills sound tough though. The first half of the course if fairly flat, the hills are in the later part. But it's so pretty it makes it easy to power through them. Oh ya I love races that focus or only hold marathons. I do love the big marathons, and the ones that have been around a while because they do put the focus on the marathon and I think a lot of runners really like that! It's great course support. Since many of it is on trails the support is where it needs to be, but isn't exact. But most runners don't care about exact water stations as long as they are there that is all that matters right! Thanks! This is a beautiful race and area to visit. So even if you have no plans to run a marathon if you are ever in this part of the country and you enjoy history its a stunning place to visit! Most the race is fairly flat, the hills come in the 2nd half, but if you are a runner who loves a challenge then this is an awesome race for it. But not so much that it kills ya, If I remember only one hill really took a lot out of me the rest were fun. But I love hills:) It is a beautiful race and great history a wonderful area to visit! Thanks for highlighting another gorgeous looking race, Kristy! I'm such a history lover so I'm sure I would love running past all these areas of historic significance. Running down a spiral staircase toward the end of a marathon sounds tough - even tougher than the hills! Sounds like a a great marathon to run! Love that there is history, challenging hills, and beautiful landscapes! Love that bridge shot! The scenery looks great but you lost me at hills. I try to avoid races with hills (at least at this point in my running career). Actually the spiral staircase is in the first half of the race, it's not that bad at all. In fact it's at a perfect point because the crowd has thinned out by then, it wasn't tough at all, just unique. You'd probably love this race, it's absolutely gorgeous and the history in the area is facinating! Oh it's such a great race, you'd love it! 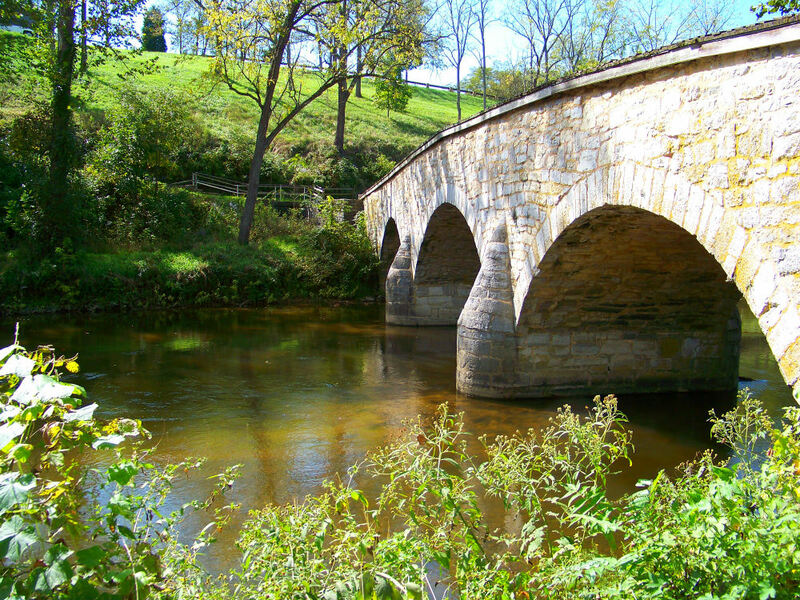 That bridge is the exact one you run over to get across to run along the other side of the river through a forest trail run into Antietam its a great race! I love your Travel Tuesday feature! You have such great insights and the races you've presented are "off the beaten path" yet gems in their own right. This one looks perfect! Ok hilly, but still. Woot woot for West Virginia! 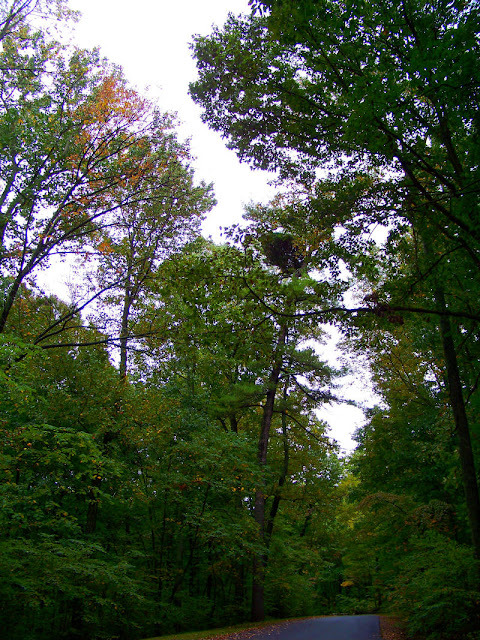 It's such a gorgeous place (especially in the fall)! Beautiful! this looks like a great race (minus those hills) :) You do find great places to visit and run! This race could definitely be either. I had a pretty decent time in it, most the course is flat until towards the end, but the hills were just the right amount of tough, but not so much to really slow ya down. But yes the scenery is awesome, if you ever get the chance to run this event you'll love it! Thanks Marcia! I am pretty particular for what I look for when I travel for a race, and there has to be lots of reasons both for the race and the area if I am going to travel to run one, so it's been fun to start introducing you all to some of as you called them gems I have found while visiting the states to run them! Oh yes it is! Such a beautiful state and area to visit! I do enjoy finding unique races and places to visit when I run and travel, and I am enjoying sharing them with you all. Gorgeous pictures as always! You are kinda inspiring me to maybe run this one next year!! Oh it's a great race if you do, you'll love it!